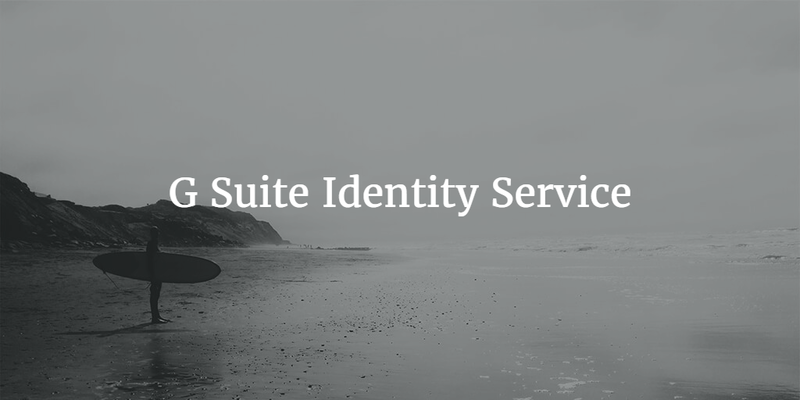 A common question for IT admins is what is the G Suite identity service? It’s a little bit of a tough question to answer, because G Suite doesn’t really have an identity service. It does have a directory for its own applications and it will authenticate a few, select web applications, but it isn’t a traditional identity management platform. It’s easy for IT admins to jump to the conclusion that you can do a number of things with what was formerly known as Google Apps. Unfortunately, using G Suite identity service isn’t one of them. Below, we’ll explain why that is and then give you an example of how you can make G Suite identities your core identities across your entire organization. Why Doesn’t Google Make its Own Identity Service? When Google Apps first came to market, the IT landscape was dramatically different than it is today. So here’s a little history. Google Apps first introduced offices to the concept of the cloud and cloud hosted infrastructure and applications. It all started with email (Gmail) eliminating the need for an on-prem Microsoft Exchange server. Google, of course, added basic productivity applications to the mix and GApps was effectively born. At that time the identity management platform of choice was Microsoft Active Directory and that wasn’t going to change. The world was still largely Windows-based and on-prem. AWS was just starting to take hold in startups, but was still relatively nascent. So, it made sense for Google to integrate GApps with Active Directory and OpenLDAP rather than build their own identity management service. And, that’s what they did with their integration tool Google Apps Directory Sync (GADS or G Suite Directory Sync now). That strategy worked fine when people were on AD and largely Windows. Now, most organizations are mixed platform environments and many have eschewed Active Directory in favor of a modern, cloud hosted directory service called Directory-as-a-Service®. The beauty of this virtual identity provider is that it matches the G Suite model of cloud delivered, scalable, and cost-effective. Directory-as-a-Service is tightly integrated with the G Suite platform via APIs. No extra server with GADS is required and no equipment – such as the AD server – is hosted on-prem. In effect, this cloud directory is the G Suite identity service. 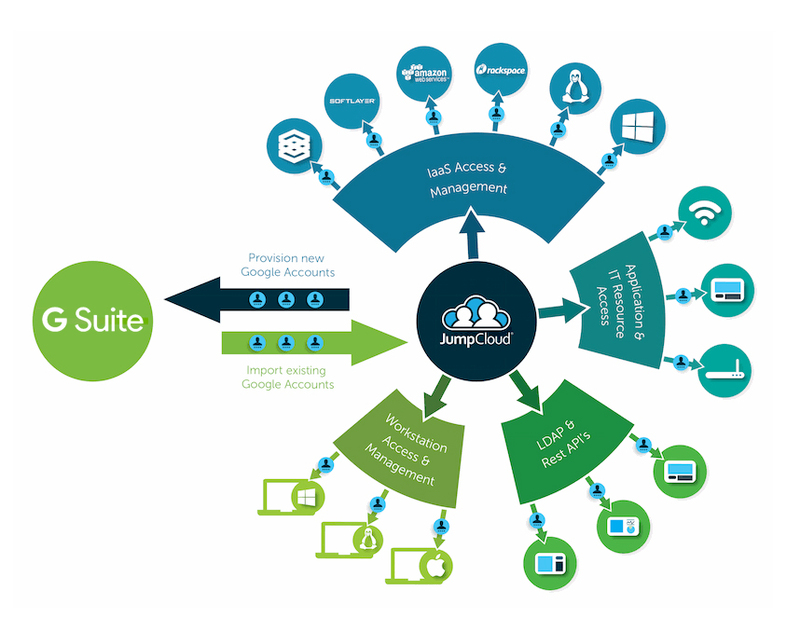 It just happens to be delivered by a G Suite partner, JumpCloud. If you would like to learn more about the G Suite identity service – or how you can integrate G Suite with a core, authoritative directory service, drop us a note. Or, feel free to give our Identity-as-a-Service platform a try for yourself. You can quickly integrate it with G Suite and see what central directory control looks like with G Suite. The account is easy to setup and your first 10 users are free forever.